Atlanta Sometimes in the hurly-burly of life and the wild carnival of every day, we underestimate the little things on one’s list and forget that they might be large items on someone else’s list. Even saying this, it sounds minor and inconsequential, but walk with me for a minute. On the same day that ACORN Radio was marking its first anniversary on the air, we were trying to get our minds wrapped around bits of news about a host on WAMF 90.3. There were alerts that he was missing. Others hosts and people involved with the station were trying to remember the man, and asking me who he might be and what his involvement with WAMF was, because they were unaware. The local news reports identified Frederick Mead as “a local actor and playwright, [who] hosted the radio program Hercules Radio Playhouse on WAMF LP 90.3 New Orleans.” He had not answered text messages from friends which was unusual and had missed two rehearsals for his radio show. Did I know him? Yes and no. I had emailed back and forth with him six months earlier. I had met him once as I do all prospective hosts to listen to them pitch their show, arrange for their training, and explain how noncommercial radio and underwriting would work. We set him on the schedule for Wednesday nights from 9 to 10 pm. At one point he had some issues with a headset, but it sorted out. He was happy to be on the air. We were happy to have a radio play that hearken to the old days of radio and its listeners. Originally, he was calling the show Olde Time Radio Playhouse. I’m not sure he even told us that he had changed the name of his show to Hercules Radio Playhouse. It’s a volunteer army. We get people a uniform, hand them the microphone, and 4, 3, 2, 1 and they are on the air. We did our part. He did his part. But it is. And, reading the article in the one of the local papers that Frederick Mead who was missing has now been found dead, whether natural causes or unknown reasons, the frequent mentions of his show on WAMF by his friends indicates how big a deal doing the show and being on the radio was to him. And, frankly, to the rest of us, if we really think about how big the little things really are. In this world of billions of people or even, having a voice has inestimable value. Something like WAMF or any radio station, especially noncommercial stations, give small voices a megaphone to an audience as big as the world that might be heard and meaningful to one or two people or millions. That’s why we call these “voice of the people” stations. We were honored to have his voice and contribution at WAMF. Never underestimate the importance of having a voice, and the ability to have it heard and heeded. New Orleans It’s a crowded field for the Democratic nomination for president this time around, but some of the candidates are wising up a bit and realizing that, if you want to win and push new and different voters to the polls, you better have a real plan for renters and affordable housing, not just more hollow platitudes about homeownership and white picket fences. It even seems more urgent when the business pages of the Wall Street Journal start to write warnings for their readers that rent control is gaining traction. On the rent control front, the passage of some limits, even very high ones in Oregon statewide, has sent tremors throughout the industry. New York is also weighting a cap on rents now with a firmer Democratic legislative majority. A bill that would allow local communities to enact rent controls in Colorado is moving forward. Real estate interests won’t be able to hold back change in California forever. I wouldn’t call it a movement yet, but if businessmen and real-estate investment trusts, are worried, I’m already happier about the prospects. Some of the candidates are advancing proposals that speak to tenants and affordable housing, so let’s give some props to the ones that are standing up, even if some of are not yet measuring up. Senator Elizabeth Warren and her campaign have focused on policy prescriptions, so it shouldn’t be a surprise that she leads in this area. She introduced a bill, also sponsored by another candidate, Senator Kristen Gillibrand from New York, that would raise the estate tax to push money to nonprofit housing developers and raise about $50 billion. The New York Times quotes a Moody’s analysis that claims such an infusion of new units would lower rents for a decade. Warren’s bill would also provide more assistance to homeowners willing to buy in areas that were traditionally red-lined. Warren and Senator Cory Booker from New Jersey advocate changing zoning laws to allow more density, though I’m pretty sure that’s a local issue. To get around local real estate and developer cartels, Warren wants to increase the pot of Community Development Block Grant monies to force the issue. Booker wants to deny CDBG money to communities that don’t change. I’m disappointed that California’s Senator Kamala Harris, who I find has a lot of appeal, has placed such a small marker on such a huge issue. She advocates, along with Booker, a tax credit for renters, but, frankly, that just doesn’t get it for lower income renters or for a bigger supply of affordable units. Renters heavily overlap with key Democratic constituencies, including younger adults, African-Americans and Hispanics, and urban residents. 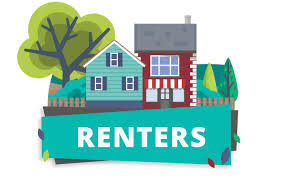 Voter turnout of renters in 2016 was about 12 percentage points lower than that of homeowners, according to the Cooperative Congressional Election Study. But that year they favored Hillary Clinton by 28 points (homeowners preferred Donald J. Trump by 11 points). If you want tenants, you’re going to have to put some serious stuff on the table. Elizabeth Warren seems to get that. The rest of the field needs to bring their A-game on these issues.